Not the best of photos today, all taken on my Samsung Galaxy Ace. It's been a busy old day and I'm back in the office tomorrow. 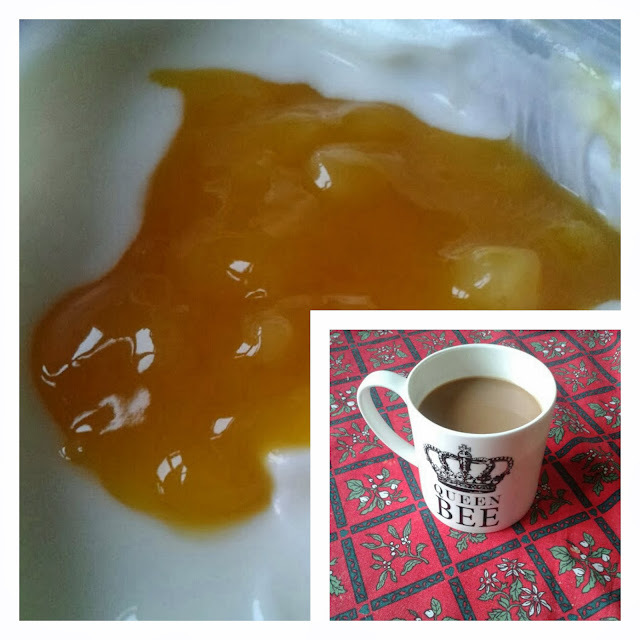 Breakfast: A peach & passion fruit split yogurt from Asda & a coffee. 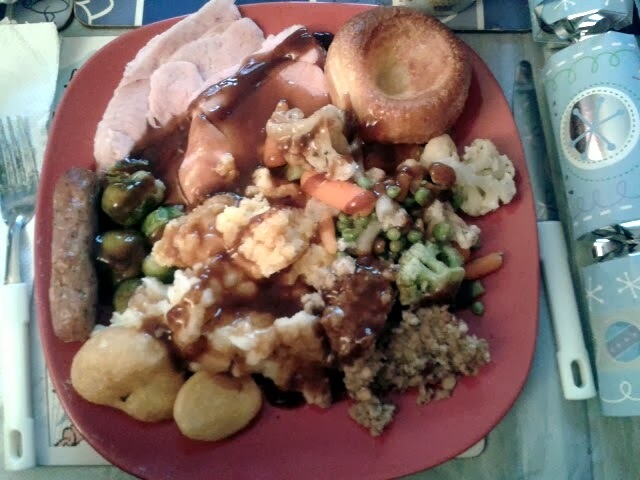 Lunch: (at the mother-in-law's) Gammon, sausage, and mixed vegetables. 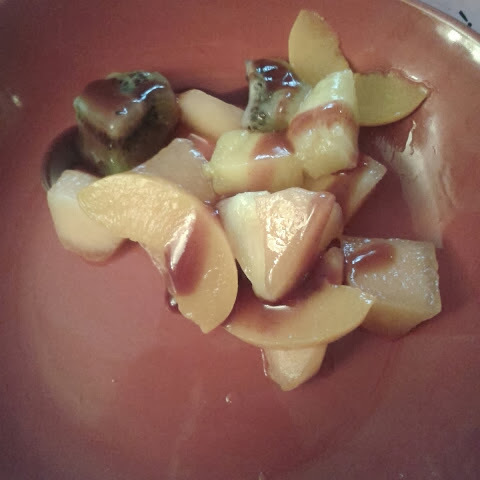 Followed by fruit salad with fruit sauce. 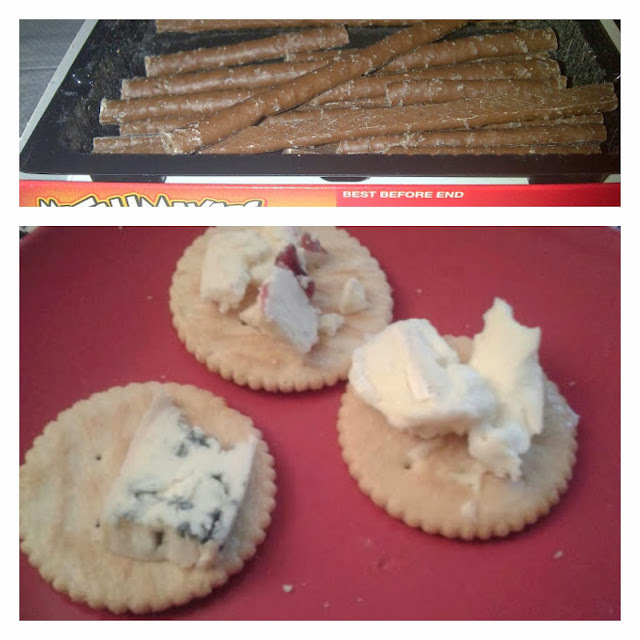 Snack: (while playing cards) Cheese & Ritz crackers. Orange & mint matchmakers. Not the whole box, a few disappeared into JJ's mug of tea! 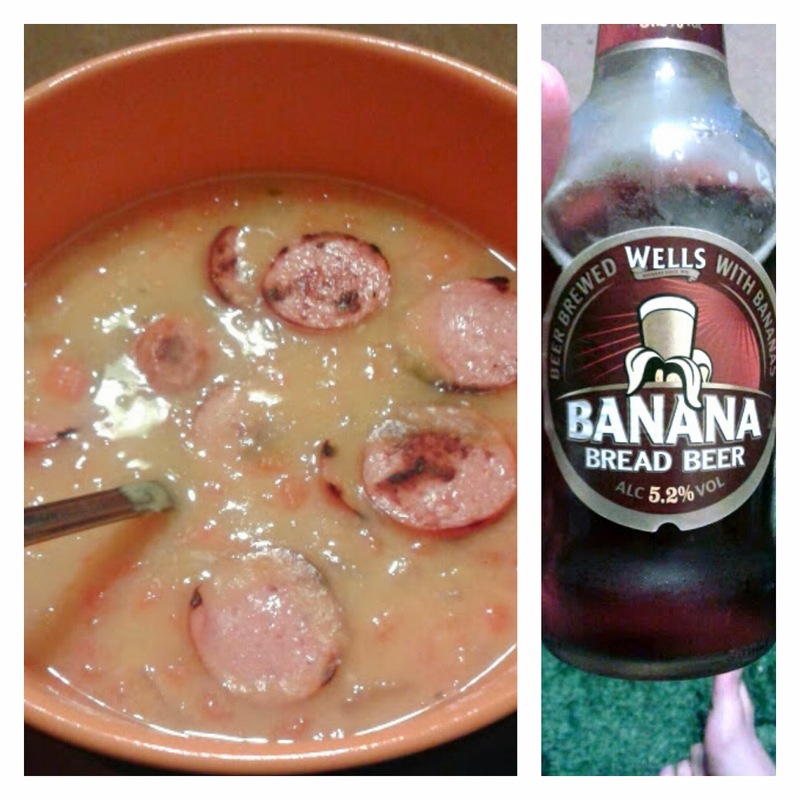 Tea: Split pea soup with smoky sausage and a Banana Bread beer. Very yummy after a rather hefty food day.